Give your bathroom a fresh new look with our huge selection of premium products, made from the finest materials, created with your safety in mind, installed in as little as one day. 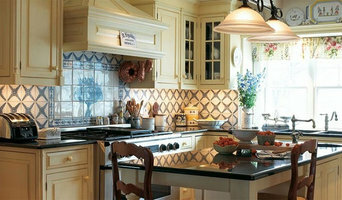 We are the premier kitchen designer of custom kitchen cabinets and kitchen countertops in the Hudson Valley. Located in Poughkeepsie New York, we have a long history of outstanding customer service. With years of combined experience, Attention To Detail Home Improvement, LLC has worked hard to build the trust of our clients in Westchester County, The Bronx, Harlem and beyond. Here at Ingrained Woodworking, we start with careful listening to our client's needs, develop a thorough design, and thru thoughtful, experienced execution we bring your design dreams to life. Donohue Contracting Services Inc. is your best choice for providing you with all your home improvement needs. Providing quality craftsmanship on time, as quoted, and done right the first time! We at Cabinet Store, Inc. are committed to customer satisfaction providing you with the best possible sales, product, and service. We specialize in turnkey remodeling and home improvement projects. Founded in 1997 as Country Cupboards, Rhinebeck Kitchen & Bath is a full service remodeling center. For over a decade we have designed, managed and installed thousands of kitchen and bath projects throughout the Counties of Greene, Dutchess, and Ulster and the Mid-Hudson Valley. Founded in 1986, DBS Remodel is an award-winning Design-Build residential remodeling company, that has been “treating your home like it's ours." Upon founding DBS, owner Brian Altmann, has directed his efforts towards education, implementing fool proof systems, and helping his clients realize their remodeling dreams. Brian has organized a team of professionals motivated to providing superior customer service and impeccable quality standards both in material and workmanship. He and his team are Certified Aging-in-Place Specialists, and also EPA Certified! For almost 30 years, DBS Remodel has worked extremely hard to provide a haven for homeowners to successfully realize their remodeling dreams. DBS Remodel—When Cleanliness, Politeness, & Trust Matter! 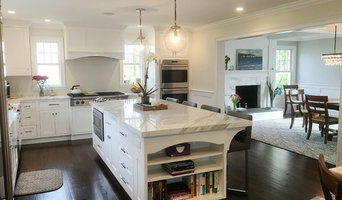 Hudson Valley Cabinet & Woodworking, Inc.
Hudson Valley Cabinet & Woodworking, Inc. has been providing homeowners and builders with exceptional quality custom and pre-made cabinetry for over twenty years. We work directly with clients to meet their design needs, crafting high-quality cabinetry solutions for the kitchen, bath and more. Visit our showroom in Fishkill, NY or contact us to schedule a consultation appointment. Quality PM is the Capital Regions #1 service provider to Real Estate Agents & Property Owners for more than 10 years. We’ve prepared hundreds of properties for market & have completed hundreds of home improvements & remodeling jobs. Our primary goal is to complete a project that exceeds the expectations of our customers. We strive to build a trusting relationship with each and every customer. We maintain a clean work environment throughout the project. We take great pride in our finished projects which our customers rave about to family, friends and neighbors. Kitchens and bathrooms are two of the hardest-working spaces in any home. When it’s time to update them, ensure that they stay at peak functionality by hiring a Hillside kitchen and bathroom remodeler. With an eye for aesthetics, a practical approach to layout and design, and the skills of a contractor, a bath or kitchen remodeler in Hillside, NY can help you execute a remodel suited your personal style and needs. What does a Hillside kitchen and bath remodeling expert do? Licensed New York kitchen and bath remodelers are contractors who specialize in altering the structure of an existing space, rather than building one from the ground up. Because he or she must deal with a previous builder’s work, the job can get more complicated than new construction. You might wonder why they often specialize in both kitchens and bathrooms, but if you think about those two spaces, they actually have a lot in common. Kitchens and bathrooms include an abundance of fixtures that require careful planning and installation, including sinks, faucets, tubs and toilets that all need water hookups and drainage. They also use similar materials, such as tile and stone for countertops and flooring, due to the nature of their use. So it makes sense that Hillside kitchen remodelers and bathroom remodelers be one in the same. A bathroom or kitchen remodeler translates architectural plans from page to reality; some are also trained to provide design services so that you don’t have to hire a separate pro. Like a general contractor, a kitchen and bathroom remodeler in Hillside, NY is responsible for hiring and supervising subcontractors and providing materials when necessary. They also should have a thorough knowledge of New York building codes and construction-related legal issues, as well as current design and product trends. Here are some related professionals and vendors to complement the work of kitchen & bath remodelers: Woodworkers & Carpenters, Kitchen & Bath Designers, Interior Designers & Decorators, Architects & Building Designers, General Contractors. 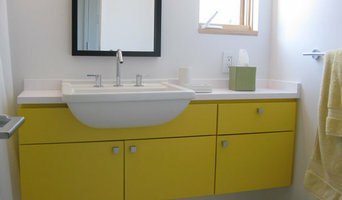 Find a Hillside kitchen and bathroom renovator on Houzz. Narrow your search in the Professionals section of the website to kitchen and bathroom remodelers in Hillside, NY. You may also look through photos of Hillside, NY spaces to find kitchens or bathrooms you like, then contact the bathroom or kitchen remodeler who worked on it.